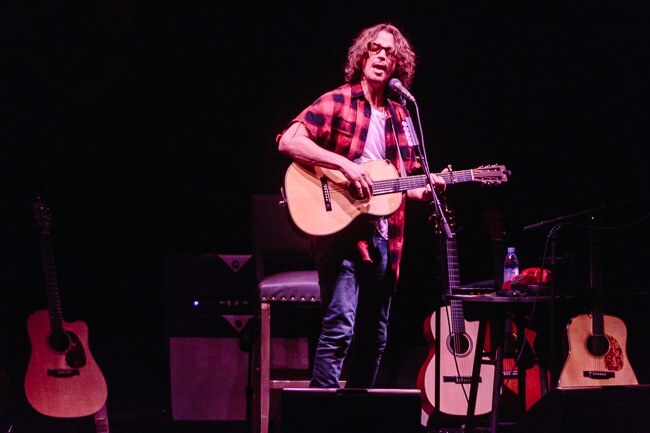 Chris Cornell has an illustrious career in rock and his solo tour distills the power of his work, with bands like Soundgarden and Audioslave and solo, to two elements, his voice and his guitar. 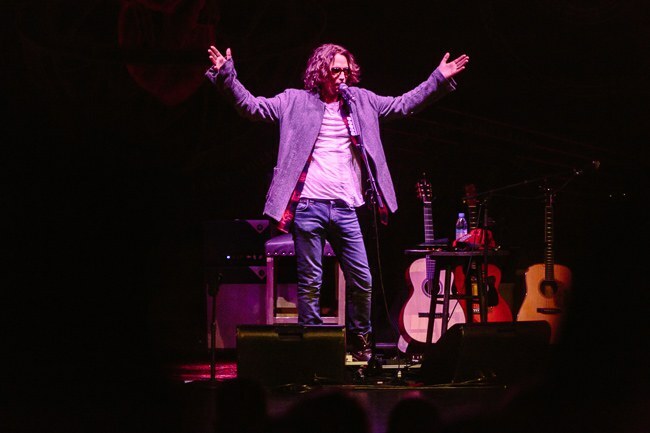 Chris Cornell is a rock icon with an illustrious career. 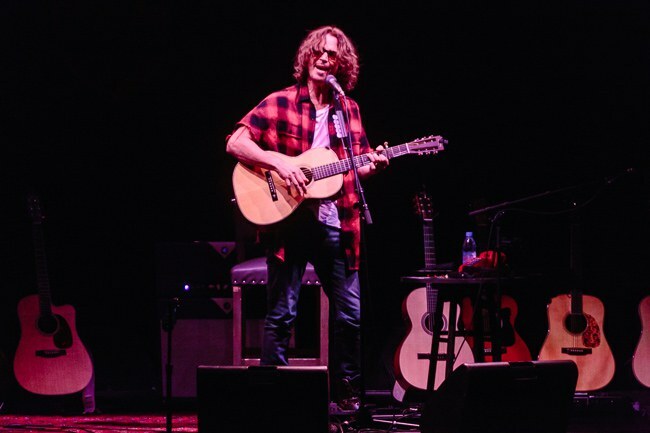 During the first of his two shows at the Beacon Theater in New York, his new home town, Cornell, like every other stop on the tour I imagine, received a standing ovation after nearly every song. 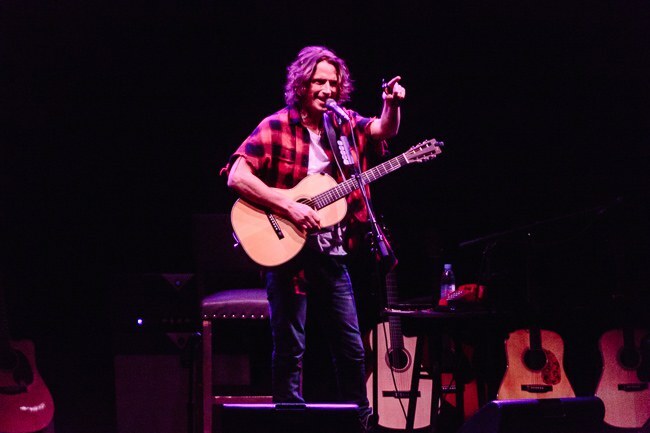 The man has a tremendous presence and his musical legacy, with Soundgarden, Audioslave and four solo albums under his belt, has cemented a place for him beyond his original grunge roots. 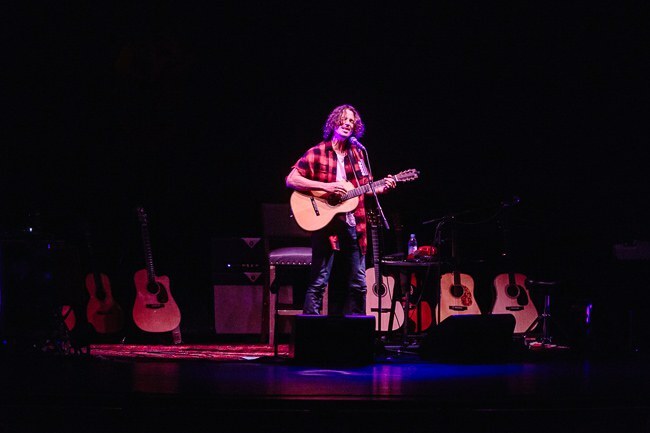 As Radio.com noted, "it seems Chris Cornell has learned to stop worrying and enjoy the fortunate position that he’s in: he’s healthy, he looks as good as he did in the ’90s and sounds even better (at least when he performs)." Cornell is touring this year on the back of a solid new solo album, Higher Truth and he's also re-released his first solo album, Euphoria Mourning (with the title as originally intended) on vinyl for the first time. One of the tracks from the latter album, "When I'm Down" featured the pianist Natasha Shneider. Unfortunately Shneider had passed away in 2008 but Cornell treasured her piano accompaniment so much he incorporated her backing track into the set via a specially pressed vinyl. 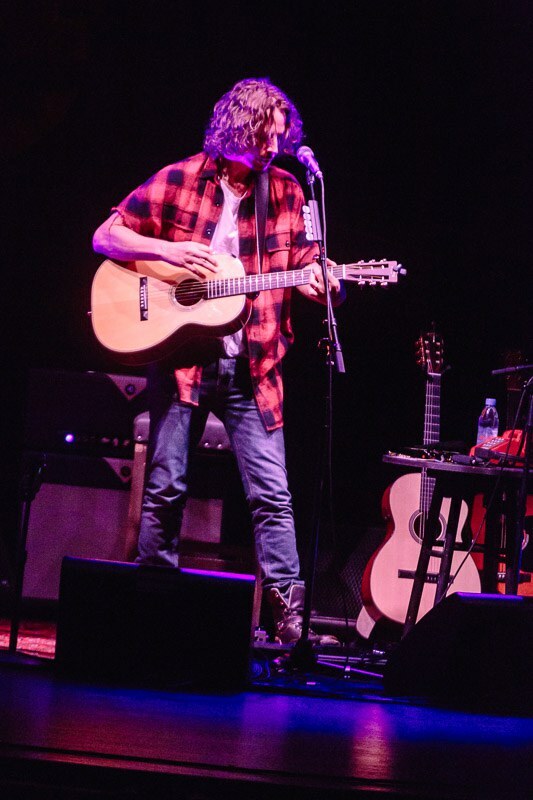 Cornell's musical collaborator on stage this night was multi-instrumentalist Brian Gibson on cello. I'm particularly fond of the Audioslave tracks so "Doesn't Remind Me" was one of the standouts for me but another cover, Dylan's "The Times They are A-Changin'" proved a great addition to Cornell's "Songbook". 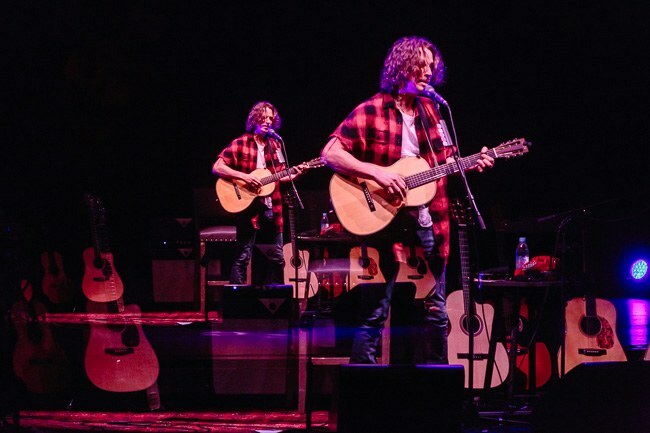 (I do wish I could have seen the second show at the Beacon as Cornell's daughter Toni joined him for Bob Marley's "Redemption Song".) 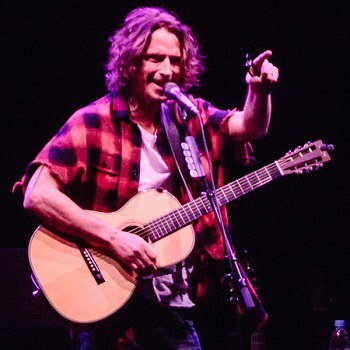 Beyond his appreciation for his musical influences, Cornell showed a level of appreciation for his audience as high as they showed him as presented them with a set of over 24 songs. 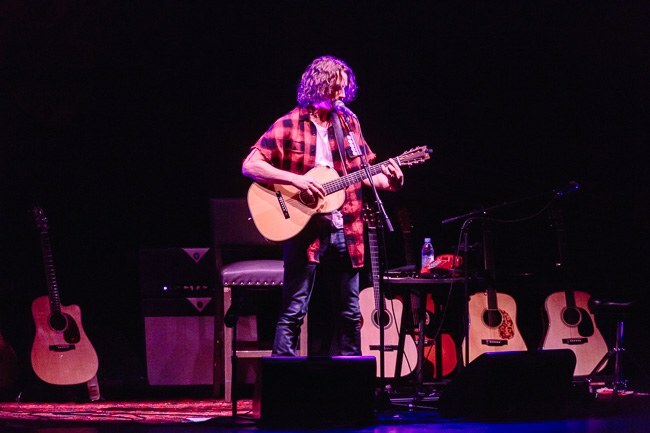 The Soundgarden tracks like "Rusty Cage" (in a countrified version) and "Black Hole Sun" got some of the biggest applause but people cheered almost as much for newer tracks like "Higher Truth". 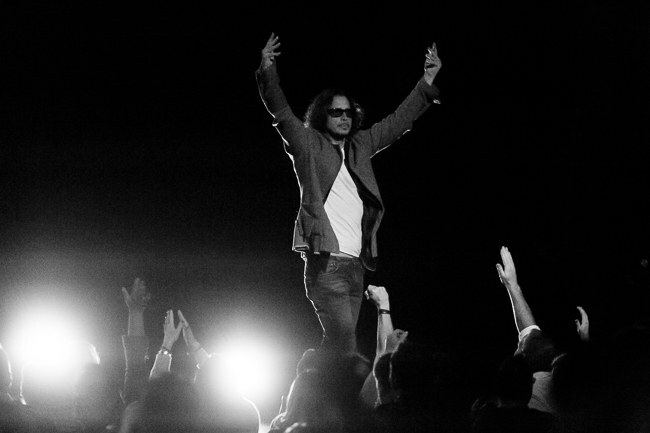 Cornell's solo tour will leave an indelible mark as the man is at the top of his game. I can't wait for him to come around again.